MEETING OPENED BY PRESIDENT JUDY JEFFERY WELCOMING EVERYONE, WITH AN ATTENDENCE OF 25 PEOPLE. PAT TAYLOR VAN NATTER, IN CHARGE OF SPEAKERS INTRODUCED OUR SPEAKER, BOB ALTON OF MAPLELANE FARM. (ALTON’S) MANY VARIOUS TIPS AND ADVICE WERE GIVEN, FOLLOWED BY A VERY INFORMATIVE QUESTION AND ANSWER PERIOD. PRESIDENT JUDY JEFFERY EXPRESSED OUR THANKS. COFFEE, TEA AND A LIGHT LUNCH WAS THEN SERVED. THANKS TO PAM BLANCHARD AND ? FOR SUPPLYING THE TREATS. MINUTES OF LAST MEETING WHERE READ BY SECRETARY DORIS THOMSON, APPROVED AND 2ND BY BETTY BALLANGER. HANDOUT COPIES OF THE LAST MEETING AND FEBRUARY NEWSLETTER, WHERE DISTRIBUTED TO ALL MEMBERS. – NEWSLETTER FROM HABITAT HALDIMAND WITH “KIDS WORKSHOP” PLANTING SEEDS MARCH 21ST AT KOHLER AGRIC. CENTER. 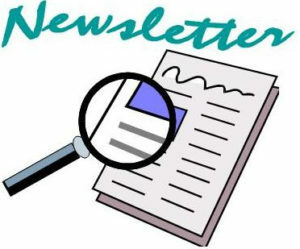 – LETTER RECEIVED MAGNOLIA SOCIETY HOLDING ITS ANNUAL GENERAL MEETING APRIL 30TH-MAY 2ND IN NIAGARA FALLS. BETTY BALLANGER CONDUCTED THE WAYS AND MEANS DRAW WITH VARIOUS PLANTS AND OTHER ITEMS. PROFIT OF $27.00 WAS RAISED FOR OUR SOCIETY. TREASURER’S REPORT WAS READ BY TERESA BORODYN; SHOWING MEMBERSHIP 0F 18. PRESIDENT JUDY JEFFERY ADVISED MEMBERS TO TAKE ADVANTAGE OF OUR FREE TABLE CONTAINING MAGAZINES, SEEDS, ETC. PLEASE FEEL FREE TO DONATE ANYTHING THAT YOU NO LONGER WANT TO THIS TABLE THAT OTHERS MAY ENJOY. – REFURBISH FOUNTAIN IN CENTENNIAL PARK, ALTHOUGH THE COUNTY HAS REMOVED THE WATER PIPES SO SOME ADJUSTMENTS WILL HAVE TO BE MADE. – UP TO DATE TELEPHONE SCHEDULE, WHICH TREASURER TERESA BORODYN WILL BE IN CHARGE OF.EACH MONTH. THANKS EXPRESSED TO TREASURER TERESA BORODYN ON DESIGNING AND HAVING NEW MEMBERSHIP BOOKLETS PRINTED. VERY STYLISH! OUR SOCIETY, CELEBRATING ITS 81ST YEAR WILL BE DISPLAYING THIS SATURDAY, FEBRUARY 20TH AT HERITAGE DAY IN THE PUBLIC LIBRARY. 9:00 A.M. SET UP ; JUDY JEFFERY, DORIS THOMSON. 10:00 – 11:00 A.M.; IAN STEEL, DORIS THOMSON. 11:00 –1:00 P.M.; PAT TAYLOR VAN NATTER, DONALD DAVIS. 1:00 – 2:00 P.M.; JAN AND REGINA LOOTS. 2:00 – 3:00 P.M. TERESA BORODYN, JUDY JEFFERY. 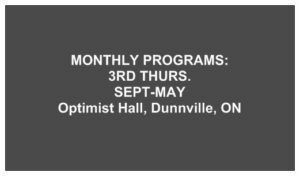 PRESIDENT JUDY JEFFERY EXPRESSED OUR THANKS TO IAN STEEL FOR DESIGNING AND PRINTING NEW DUNNVILLE HORTICULTURAL SOCIETY AGENDA PAMPLETS FOR 2010. THESE WHERE HANDED OUT TO ALL MEMBERS AND WILL BE AVAILABLE AT THE HERITAGE SHOW AND ALSO THE HOME SHOW IN APRIL. JOB WELL DONE IAN. THE ROYAL BOTANICAL GARDENS IN HAMILTON WILL BE HAVING AN ORCHID SHOW, FEBRUARY 27 & 28TH AND IF INTERESTED CONTACT DONALD DAVIS AT 905-774-8088 IF INTERESTED IN ATTENDING. PRESIDENT JUDY JEFFERY ASKED FOR VOLUNTEERS AT THE HOME SHOW IN APRIL AND A SIGN UP SHEET WAS PASSED AROUND. CHAIR-PERSON WILL BE KIM CHRISTOFF AND MAURA COOPER. PAM BLANCHARD SPOKE ON PLANS FOR ENTERING THE MUDCAT PARADE JUNE 12TH.WE WILL NEED VOLUNTEERS TO PARTICIPATE. SUGGESTED THAT WE DISPLAY OUR BANNER, FOLLOWING BEHIND A 1973 CORVETTE, WEAR STRAW HATS, MATCHING T-SHIRTS OR WEAR APRONS HOLDING VARIOUS SEED PACKETS TO HAND OUT. A RADIO STATION IN ST. CATHARINES WILL MAKE A TAPE ABOUT OUR SOCIETY AND PLAY SONGS PERTAINING TO FLOWERS. VOTE WAS TAKEN ON COLOUR OF T-SHIRTS AND WON BY VOTE OF 12 AGAINST 5 TO HAVE LIME GREEN T-SHIRTS. MOTION MADE BY TERESA BORODYN THAT WE WEAR LIME GREEN T-SHIRTS AND PURCHASE DARKER GREEN CANVAS APRONS. PAM BLANCHARD HAS A SIGN UP SHEET FOR NAMES AND SIZES TO BE ORDERED. JUDY JEFFERY WILL CHECK WITH MIRROR IMAGING ABOUT ORDERING THEM AND PAT TAYLOR VAN NATTER ALSO SUGGESTED SOMEONE. DONALD DAVIS SUGGESTED ON WALKING WITH HIS PET 6 YEAR OLD GREEN WINGED MACAW PARROT LUNA, WHICH EVERYONE WAS IN FAVOUR OF. MEETING ADJOURNED BY PRESIDENT JUDY JEFFERY. NEXT EXECUTIVE MEETING; THURSDAY MARCH 11TH AT 7:00 P.M. AT CHAMBER OF COMMERCE BUILDING. NEXT REGULAR MEETING; THURSDAY MARCH 18TH AT 7:00 AT GRACE UNITED CHURCH WITH SPEAKER BRENDA PICKVANCE OF WHISPERING GARDENS ON FEEDING BIRDS IN THE BACKYARD. WELCOME ALL MEMBERS AND LETS THINK AHEAD TO THE LOVELY SPRING WEATHER WHEN ALL THIS ICE AND SNOW IS GONE AT LAST. PLEASE NOTICE THAT OUR REGULAR MEETINGS WILL START AT 7:00 P.M. EFFECTIVE NOW. THIS IS UPDATED ABOUT THE GENERAL MEETINGS AND TIMES ON THE WEB PAGE AND HE HAS ADDED THE DHS AGENDA TO THE “NEWS & EVENTS” TAB OF THE WEBPAGE. THANKS SO MUCH IAN FOR A JOB WELL DONE. GREAT SITE ! FEBRUARY 18, DUNNVILLE HORTICULTURE SOCIETY MEETING WITH SPEAKER BOB ALTON OF ALTON GREENHOUSES WILL SPEAK ON FLOWERS AND HANGING BASKETS TO CELEBRATE DUNNVILLE’S 150TH SESQUICENTENNIAL AND COLOUR THEME WILL BE RED, WHITE AND BLUE. SATURDAY FEBRUARY 20, HERITAGE OPEN HOUSE AT DUNNVILLE PUBLIC LIBRARY, FROM 10:00 A.M. –3:00 P.M. FREE ADMISSIONS,DONATIONS APPRECIATED. FEBRUARY 22ND,GRIMSBY GARDEN CLUB AT 7:30 P.M. WILL HAVE SPEAKER TOM STATON WILL GIVE A POWERPOINT PRESENTATION DEALING WITH THE NIAGARA PENINSULA’S NATIVE PLANTS- HOW TO CARE FOR THEM, WHERE THEY GROW BEST AND THE TYPES OF PLANTS GARDENERS CAN USE. HELD AT GRIMSBY’S SENIOR CENTRE, 18 LIVINGSTON AVE. GRIMSBY. FEBRUARY 25, HALDIMAND HORTICULTURE SOCIETY, CALEDONIA WILL HAVE SPEAKER MARGARET BOSNYAK ON “DRYING YOUR FAVOURITE PLANTS AND FLOWERS AT 7:30 P.M. AT ST. PAUL’S CHURCH ON ORKNEY STREET, CALEDONIA. MARCH 12—19 PENNY SALE BY FRIENDS OF THE DUNNVILLE PUBLIC LIBRARY, 200 PRIZES. PROCEEDS SUPPORT THE CHILDREN’S DEPT SUMMER READING PROGRAM. MARCH 20 & 21ST, NIAGARA COLLEGE ANNUAL “IN YOUR BACKYARD” SPRING EVENT AT NIAGARA-ON-THE-LAKE. INCLUDES CULINARY & WINE TASTINGS, MUSIC SPEAKERS, MARKETPLACE, TOURS, DEMONSTRATIONS. MARCH 26TH WILL FEATURE CALEDONIA GARDEN SHOW. APRIL 15; SPEAKER JACK KENT OF THE POTTING SHED. JACK HAS HYBRIDIZED A SPECIAL DUNNVILLE LILY THAT WILL BE A TRIBUTE TO DUNNVILLE’S 150TH SESQUICENTENNIAL AND SOLD AT THE CHAMBER OF COMMERCE BUILDING. APRIL 23 & 24TH WILL BE THE DUNNVILLE HOME AND GARDEN SHOW AT DUNNVILLE ARENA. SPONSORED BY DUNNVILLE LIONS CLUB. ARTS DUNNVILLE COMBINED WITH THE DUNNVILLE ROTARY CLUB WILL PRESENT THE TORONTO MENDELSSOHN CHOIR, 160 VOICES IN A TRIBUTE TO DUNNVILLE’S SESQUICENTENNIAL ON APRIL 17 AT DUNNVILLE SECONDARY SCHOOL AND WILL FEATURE A PROGRAMME OF LIGHT CLASSIC’S, POP & BROADWAY HITS. SPRING FORUM WILL BE HELD APRIL 24 IN FORT ERIE WITH SPEAKER KARIN VERMEER FROM VERMEER’S GREENHOUSE IN WELLAND. WE WILL CAR POOL TOGETHER. CONTACT THE PRESIDENT. MAY 15; WELLAND HORTICULTURAL SOCIETY PLANT SALE AT EXHIBTION GROUNDS, WELLAND. MAY 22ND WILL BE THE DUNNVILLE HORTICULTURAL PLANT & GARAGE SALE HELD AT GRACE UNITED CHURCH. “TOO MARVELOUS FOR WORDS”-A SINGLE BLOOM, SPIKE OR SPRAY. “GARDEN ARCHITECTURE” – STRUCTURE, TRELLIS OR ORNAMENT IN A GARDEN. “ DISCOVERING THE WATERFRONT”- A WATER GARDEN. “GARDEN PARTY” – ANIMALS OR INSECTS WITH PLANTS. “JUST ADD WATER” – WET PLANTS TOUCHED BY RAIN OR DEW. “ IT’S NOT EASY BEING GREEN” – MOSTLY GREEN FOLIAGE. “THE WILD ONES” – WILD PLANTS IN A NATURAL SETTING. YOU MAY ENTER ALL CLASSES BUT ONLY ONE PHOTO PER CLASS. PHOTOS MUST BE TAKEN WITHIN REGIONAL NIAGARA AND HALDIMAND COUNTY. SPECIAL “OPEN GARDEN WEEK” WILL BE JULY 23, 24, & 25TH AT “WE’RE IN THE HAYFIELD NOW DAYLILY GARDENS” 4704 POLLARD ROAD, ORONO. OCTOBER 30TH WILL BE THE ANNUAL PRESIDENT’S MEETING. REMINDER DUNNVILLE HORTICULTURAL MEMBERSHIP IS NOW DUE FOR 2010 AND OUR TREASURER TERESA BORODYN HAS DESIGNED SOME LOVELY NEW CARDS, SO BE SURE TO GET YOURS NOW!